Gait analysis is an important issue in various fields. 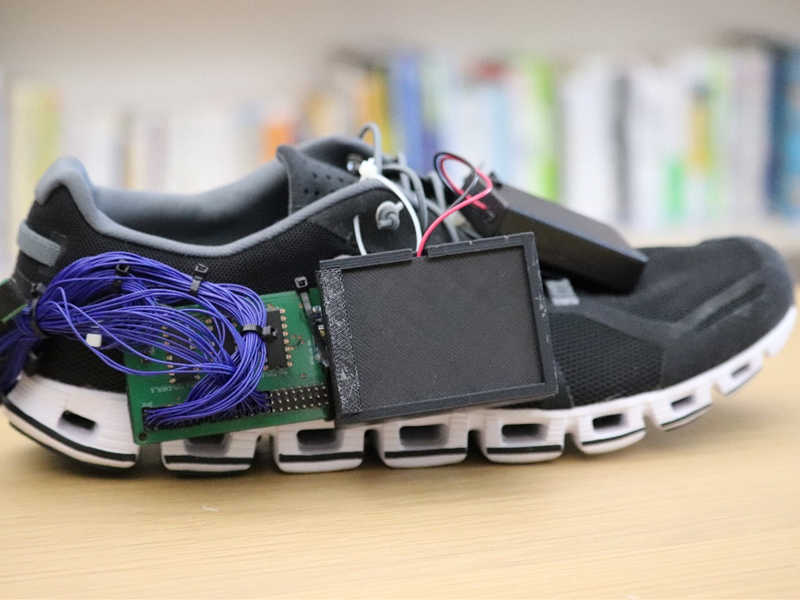 In this paper, we developed a shoe-type device to measure the foot pressure when walking. Our device measures the deformation of the sole when pressure is applied and is detected by sensors embedded in the sole. As pressure is not applied directly onto the sensors, the system has better durability and a wider dynamic range. We then proposed a method to estimate the center of pressure (CoP), obtaining an average coefficient of determination of 0.69. Our device also identifies gait patterns by obtaining the discrimination rate of 9 types of walking methods, averaging to an accuracy of 88%.